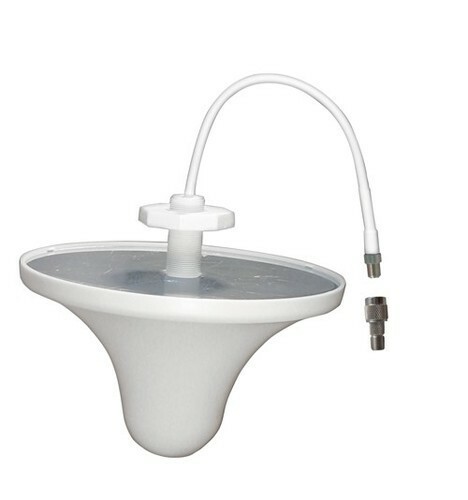 We are a prominent manufacturer and supplier of a wide range of Indoor Ceiling Antenna. Easily installed wherever you want, our offered ceiling antenna is provided in various specifications & frequency options as per the needs of customers. Along with that, a series of quality tests is performed for this ceiling antenna against various parameters to eliminate any flaw in it. The finest range of Wireless Devices & Modems is manufactured, supplied and traded by us at Dolphin Automation & Technology, ever since our inception in the year 2014. The range provided by us, is inclusive of the finest GPS Tracking System, Bulk Sms Port Modem and CDMA & GSM Multi Port Modem. Making of this range is done as per the set industry norms and guidelines, utilizing the finest raw materials and advanced technology. This ensures the product’s performance and longer service life. In addition to this, the offered range is known to be marked at the most reasonable rate possible. Apart from this we also offer Bulk SMS Service, Multi Recharge Software Services, Multi Recharges Software Solutions to our valuable customers. The highly advanced state-of-the-art infrastructural facility laced with all the necessary machinery and equipment, help us in the attainment of a number of the firm’s predefined goals and objectives. For the purpose of managing the firm’s operations, in a highly skillful and effective manner, the facility has been strategically parted into several units. These units, in the most united and dedicated manner, help us in the attainment of greater production capacity. in addition to this, our abidance of industry norms and work ethics, have helped us generate a huge client base.